Danny Simpson is one of the popular football players in the Premier League. 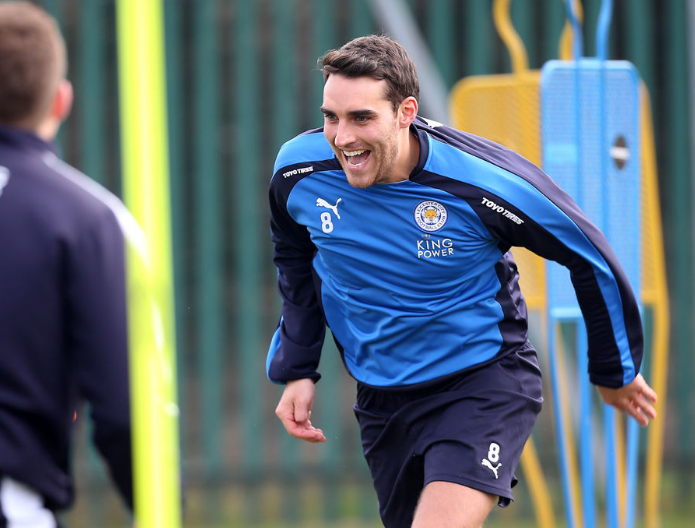 Right now, he plays as the right-back of Leicester City. He started his football career back in 2006 and have since been an influential force in the league. This remarkable football player was born as Daniel Peter Simpson in Eccles, Greater Manchester on January 4, 1987. Standing at 5 ft 10 in, he is a product of the Manchester United academy. As he developed his talent on the field, he played on loan for various teams – like the Sunderland, Blackburn Rovers, and Ipswich Town. Danny Simpson was born to an English mother and a Jamaican father. He showed a great preference for playing football at a very young age. He initially played for the Parkwyddn JFC in his hometown Eccles. Shortly after, his talent got the attention of the Manchester United and resulted in the club picking him up. His skills got better as he went through the youth system of Manchester United. By 2005, he was already a part of the reserve squad. Simpson’s professional career started with Manchester United and their game against Kaizer Chiefs, a South African team. During this debut game, Alex Ferguson, the manager of the team mentioned that Simpson did not play like a rookie. It certainly got the attention of a lot of people in the industry. After playing with Manchester United, Danny Simpson was sent on loan to several people – sometimes with other youth from the United academy. The first club was to the Royal Antwerp during the 2006-2007 season. This helped him gain enough match experience before he returned to United for the second half of the season. Simpson was also sent on loan to Sunderland where we have able to win the Championship. He then returned to United before the start of the 2007-08 season. During this time, he signed a contract with United that will last until 2010. In 2007, he was able to make his debut in the Premier League against Wigan Athletic when he substituted for John O-Shea. The match ended with a win for the United – with an impressive score of 4-0. He also got his European debut when he substituted for Ryan Giggs. This was during the match against Dynamo Kyiv. After all of these, he was again sent on loan to Ipswich Town because Ferguson felt that he has a better chance of playing the first team. This was not possible with United because he was behind a couple of players in the pecking order. The Blackburn Rovers were the next team for Danny Simpson. This loan was expected to last for a whole season. During his debut with the team, they won a 4-1 victory over Grimsby Town. He played 11 out of 14 games with the Rovers. When it was evident that his first team opportunities were limited, the loan contract was terminated early and he returned to Manchester United. Newcastle United was the next to give Simpson a loan contract. This lasted until January 2010. Instead of letting him go, Newcastle bid on Simpson to keep him as part of the team on a permanent basis. This resulted in a 3 and a half contract for him. With this team, he was able to secure his second Championship title – despite playing with a small ankle injury. At the end of the season, he had the ankle operated on and was forced to rest for 3 months. When he returned, he came back with strength and joined the team in several victories – even one against his old club, Manchester United. After the expiration of his contract with Newcastle United, he signed with Queens Park Rangers for 3 years. He made 36 Championship appearances with this team. In 2014, Danny Simpson signed with Leicester City for a three-year contract. His debut game was with Crystal Palace – where the team lost with 2-0. He played only 14 times during the 2014-15 season. Although he came second to Ritchie De Laet for the right-back position, there were times when he was preferred as he was more defensive. 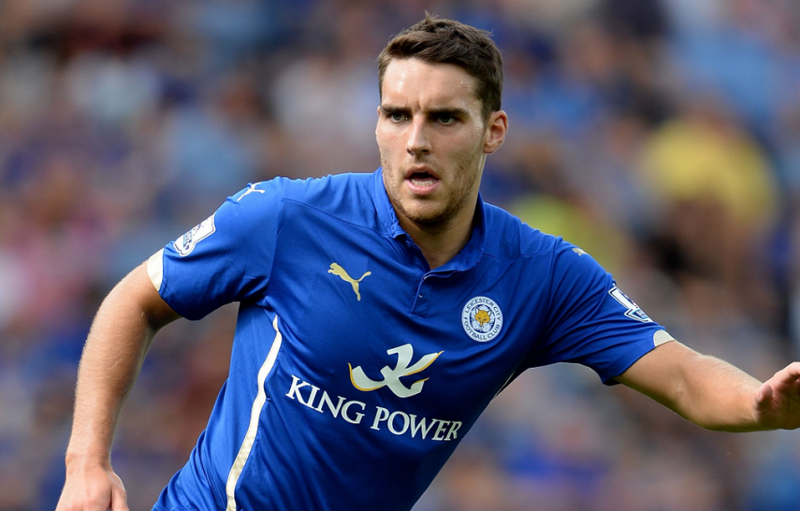 Matty James is a midfielder for the Foxes, and was born in Bacup, England. James is one of the few players on the team that has only played for a couple of clubs. He started out playing for Manchester United as a youth player and then continued on for a couple of years with them when he turned professional. 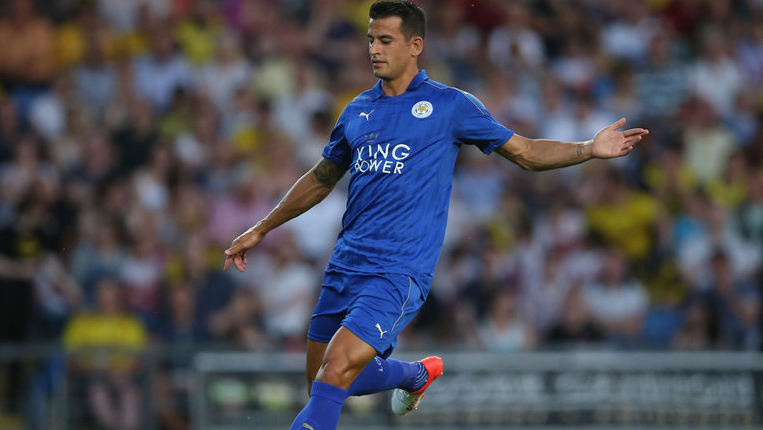 He joined Leicester in 2012, and has been pretty successful since his start there. If you read the front page of my blog, called “About me and my blog”, you already know that I love Leicester City’s roster, and that I think a team is nothing without its players. Sure, I can’t help but feel close to the colours, and every time I see a fox you know what I think about, but I never forget that the image and the team itself is only as good as the players and the decisions made by management. Players like Matty James are perfect examples of how the individual skill and talent of a player can completely change the outlook of an entire team. In his first year with City, James started off strong, making some key goals and helping his team through the championships. Then, in his second year, he played in the league a total of 35 times and got to the Premier League as a result of his and his team’s hard work. The next couple of years were a little rough for him due to a couple of injuries, but he is back at it now, which means we will probably be seeing some strong playing from him very soon. Matty James is a great player, and it is really unfortunate that he suffered such a devastating injury. Everything does seem to be going well now, though, which makes the thought of seeing him in action again really exciting. 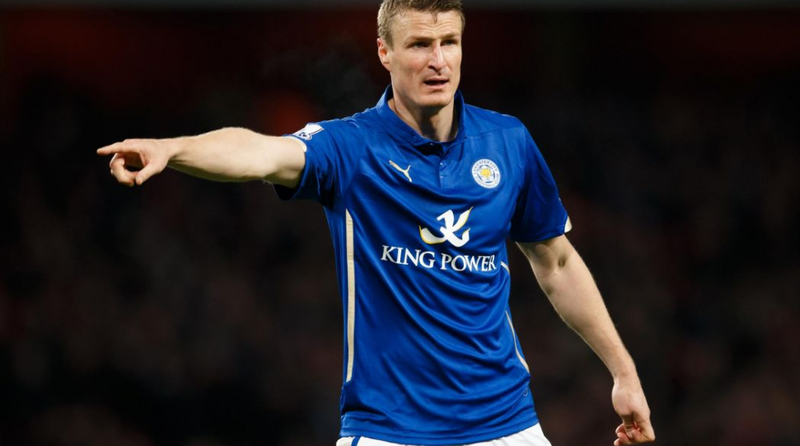 German born Robert Huth plays for Leicester City as a centre-back. He is known for his aggressive yet very professional playing style, and the man is incredibly hard to contend with on the field. Huth has played for quite a few top English and German teams, and currently plays for Germany on the international stage. He is actually fairly new to Leicester City, having only joined in 2015, but he is already making it clear that he is there to do some damage. Huth’s extremely strong presence on the field, similar to that of his other teammates like Matty James, Jamie Vardy, and fellow defender and team captain Wes Morgan, makes him an unstoppable force. That power that he brings to the game can be seen by his impressive goals, and the fact that he helped his team to one of the best victories in their entire history. Huth is known to be versatile and can play both offence and defence. While on defence, his size and speed make him a wall that other players cannot easily penetrate. As an offensive player he works very well with his teammates, and he is great at combining his skills with those of the players he is on the pitch with. You could credit Huth’s playing style to his experience. He is one of the most experienced players on the team, and recently celebrated his 300th Premier League appearance, which is pretty impressive. He is not an old player but he has secured himself a place in history in many ways. Huth is bound to be bringing Leicester many more wins in combination with the other great players on the team. For those interested in new successes and stories of up-and-comers in the sport, what Huth has brought to the table with Leicester City is pretty impressive. 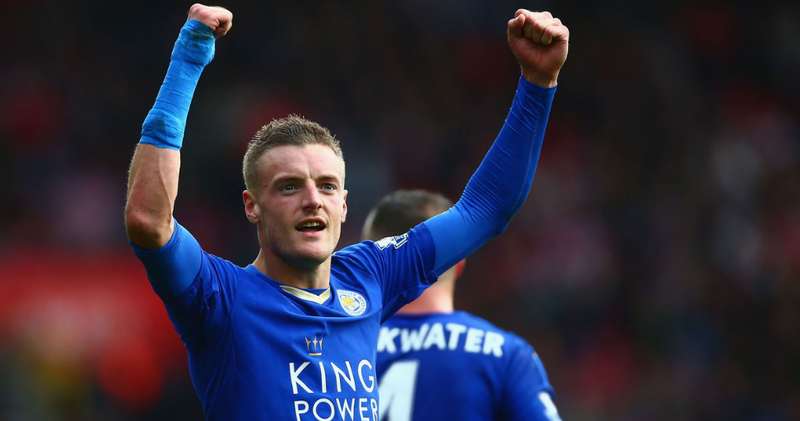 Jamie Vardy hails from Sheffield, England, and has been with Leicester City since 2012. The striker has also been playing for England at the national level since 2015. He’s a favorite of mine. So much that my username on several casino sites like Casumo, is Vardy-Kotiutus. So if you see the name on their, its me. Before joining Leicester City, Vardy played for a few other smaller clubs, namely Stockbridge Park Steels, Halifax Town, and Fleetwood Town. He was a huge success on his teams before Leicester, scoring many goals every year that he played. His pace was not slowed at all when he got to Leicester City, and he helped to bring his team to the Premier League Championship. 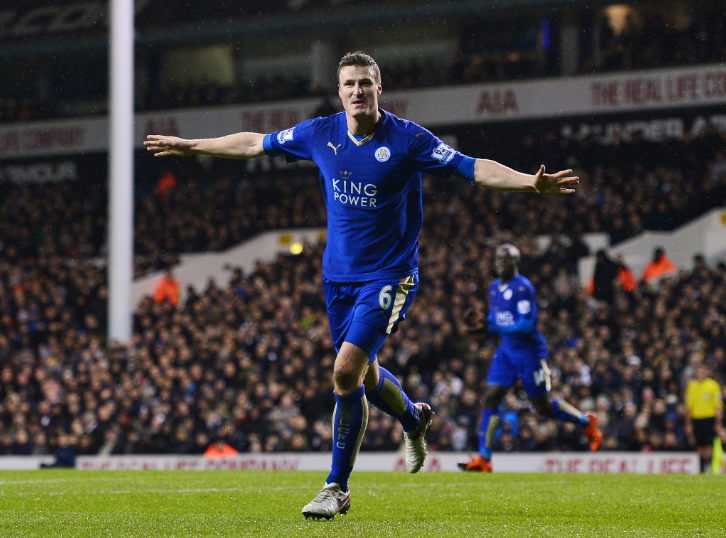 Jamie Vardy is a very strong player, and is what Robert Huth describes as the other side of a very powerful balance. Leicester is well known for its strong defence with unbelievable goalkeeping, but you obviously cannot win a match only defending your net. The offensive side of the team comes from the top-class midfielders and strikers, and that’s where Jamie Vardy comes into play. 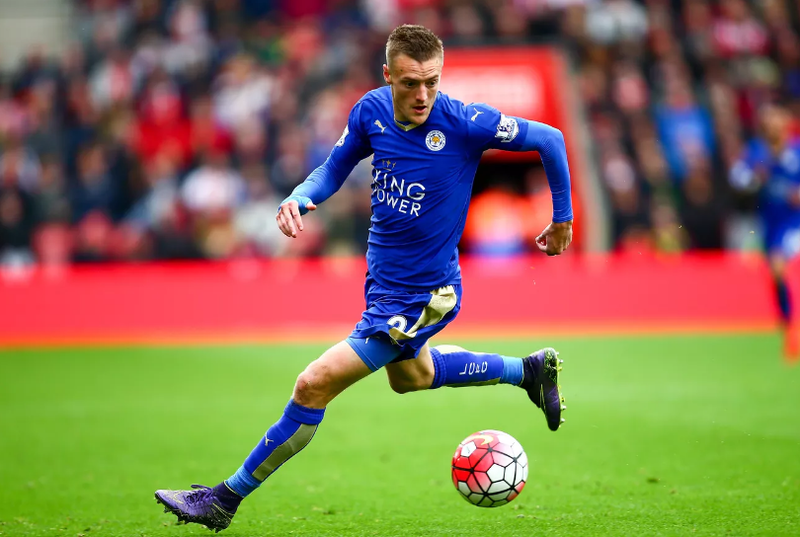 Vardy’s playing style is something that other footballers envy. He is described as being a self-driven and creative player who can easily make short work of whomever he is matched up against. He is also well known for working extremely hard on the field, and he sets the tempo for the rest of his team to follow. His speed, direct approach, and tendency to go straight through defenders on the opposing team, also make him a player who really makes a difference. 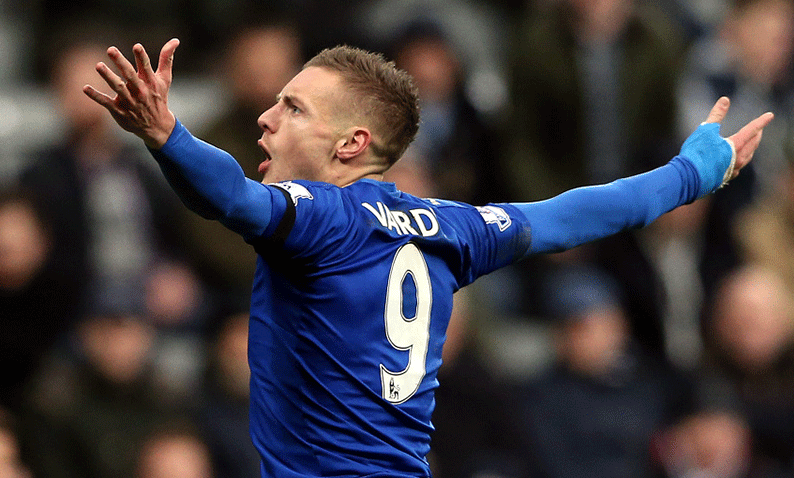 You could say that Vardy is one of the star players of Leicester City, and there is good reason for it. Nobody else really plays like him, and his team knows it. He was recently offered a contract to play until the end of 2021, and he makes well over £100,000 per week. With players like him, it’s no wonder that the team is sitting on top of the world. 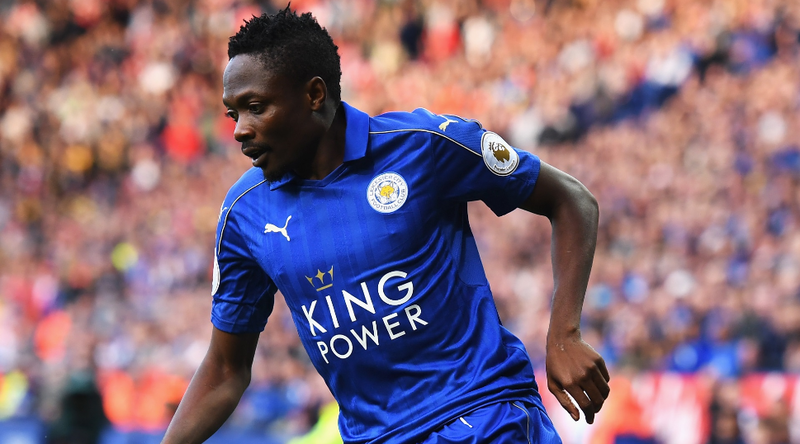 Ahmed Musa is a brand new player to Leicester, who originally comes from Jos, Nigeria, where he spent his time playing as a youth player. When he turned professional, he played for a couple of different teams in Nigeria for two years, and then moved onto other teams. He played for VVV-Venlo for two years and then CSKA Moscow for four years, before signing with Leicester in 2016. His most impressive playing was with the Russian team, CSKA Moscow, where he scored an impressive 42 goals over the four years he was with the team. 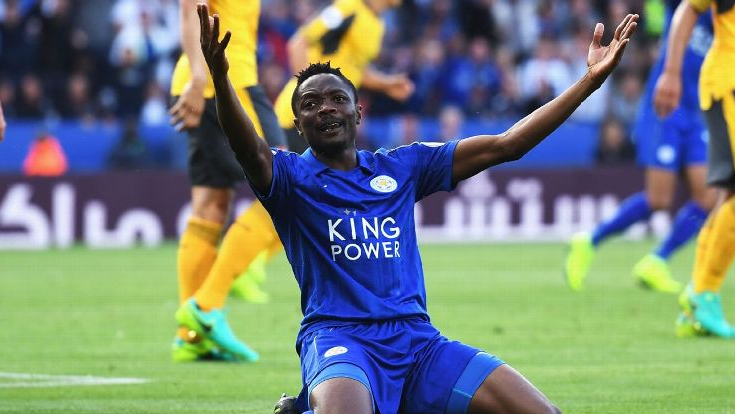 Ahmed Musa, along with Shinji Okazaki, Jamie Vardy, Islam Slimani, and RiyadMahrez is a top performer and scorer with Leicester. 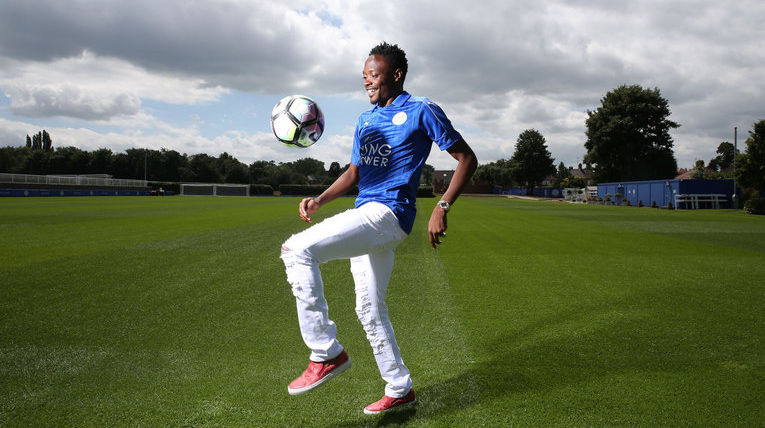 In his very young career with Leicester City, he has already bagged four goals for the team. He is very well known for his playing style and fast footwork. Many players cannot keep up with Musa as he moves across the field and strikes. That is probably the reason behind his impressive strike rate. He feels so comfortable with the ball and has a confidence in his own playing ability that many other players lack. It is that level of certainty that is going to make Musa a beast on the pitch. If I were a betting man (and I am), I would be watching Musa very closely. Musa adds speed and agility to an already powerful team, and there is nothing quite like a well-balanced team having all of its parts fortified. If he has another season like his last with Moscow, Leicester is going to be in a league of his own, which is very good news for a fan like me. There are some other players to watch out for as well, but I think Ahmed is going to show them up once he gets more comfortable with the team. 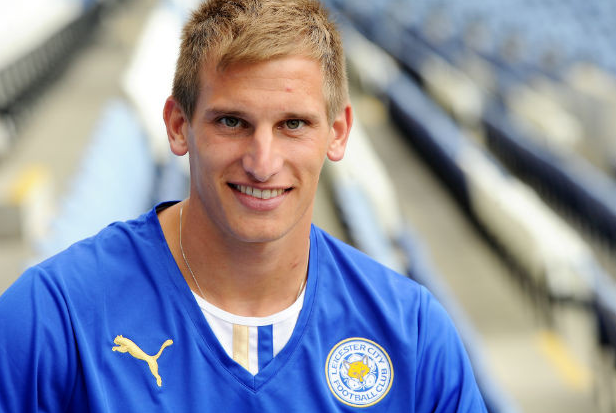 Marc Albrighton is a very strong player for the team. The midfielder from Tamworth, England, is a fairly new addition to the team, and since his arrival there have been some big changes. In his youth, Albrighton started out playing at one of his all-time favourite teams that he had followed throughout his childhood. He was heavily influenced by the players of Aston Villa, and when he got the opportunity to play with them as a junior player, he knew what he wanted to do with his life. Albrighton graduated from the youth version of the club and played for Aston Villa professionally from 2009-2014. He then made the move to Leicester City, which is where he still is. 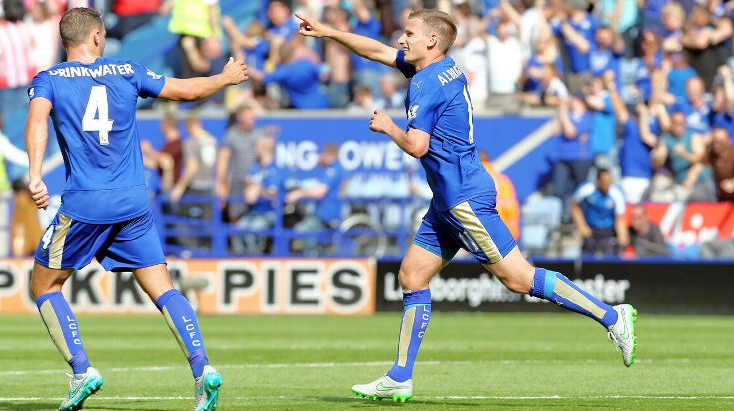 Upon Albrighton’s arrival in 2014 he immediately started making waves. As a midfielder he is considered to be one of the better scorers on the team. He doesn’t get that title for the number of goals he has scored but instead for his timing and accuracy. There are a couple of players who score way more often, like Ahmed Musa, Jamie Vardy, Islam Slimani, and RiyadMahrez, but Albrighton scores when it really counts. His playing style is very similar to the fighting image that the club has. For example, when the team was almost knocked out of the championships during the 2014-15 year, his playing helped save the team, allowing them to move forward. 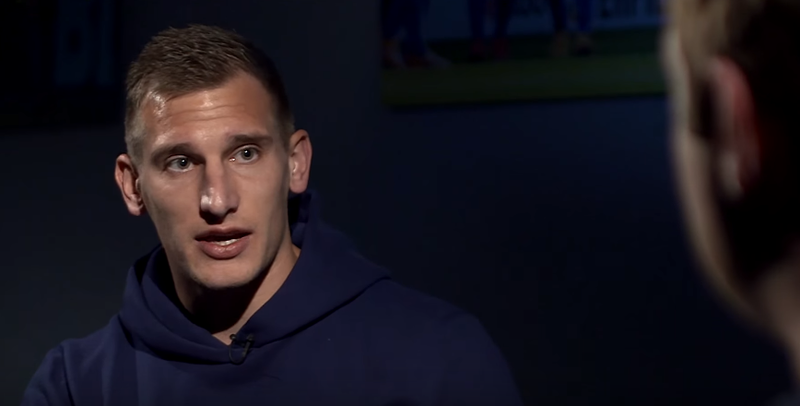 Marc Albrighton is one of the many newcomers to the club, and I am very excited to see how his playing style, along with the rest of his team, is going to shape the future of Leicester City. Some people say that signing players like Marc Albright has been one of the smartest things the club has ever done, and I think I have to agree with that. 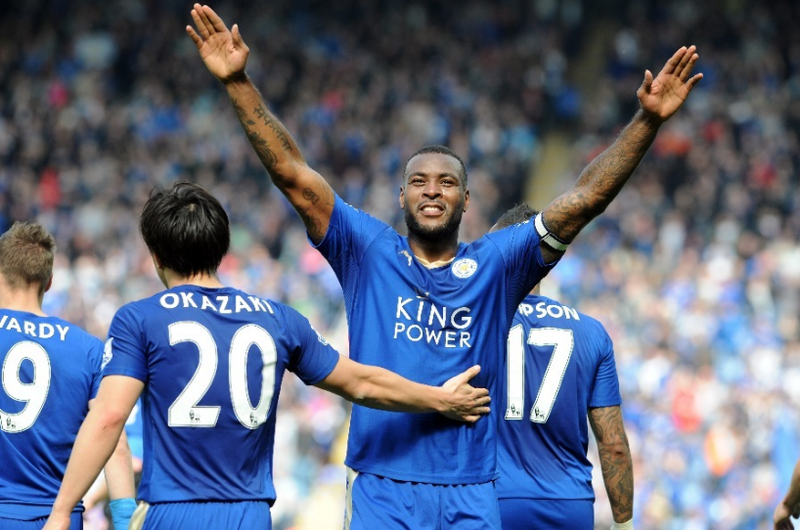 Born in Nottingham, England, Wes Morgan is a very strong defender for Leicester City, and he is the captain of the team. Morgan started his professional career in 2002 when he started playing for Nottingham Forest. Ten years later, in 2012, he moved to Leicester and that is where he has been ever since. He also plays for the Jamaica National Team, even though he is not actually from there. But his family is, and so he wanted to represent the team and his heritage. 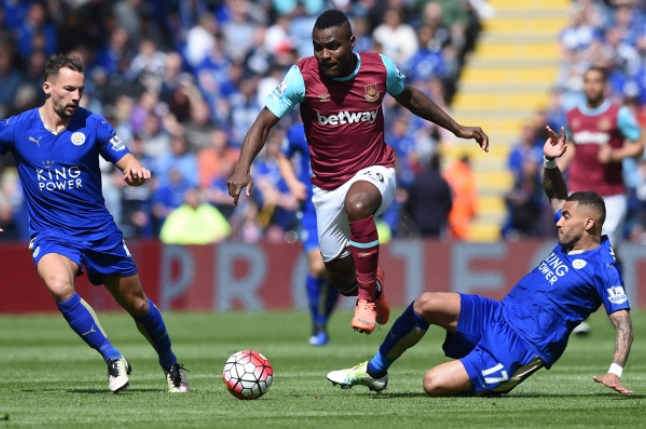 Wes Morgan is the kind of player who can be counted on. If there is a game on, you can find him on the pitch playing at his very best. For example, during the 2015-16 season, Morgan played in every Premier League match, and stayed on the field from beginning to end in every single one of them. There are only a few other players that carry the title of playing in every Premier League game during that season. The goalkeep, Kasper Schmeichel is one, and Marc Albrighton is another. In the first couple of years playing with Leicester City, Morgan managed to thwart a huge number of goal attempts against his team. His consistently strong performances and defence kept his team from slipping away, and it was largely because of his work that the Foxes were able to start thinking in terms of offence instead of defence. With such a powerhouse guarding the team, new heights were soon imagined…and then achieved. 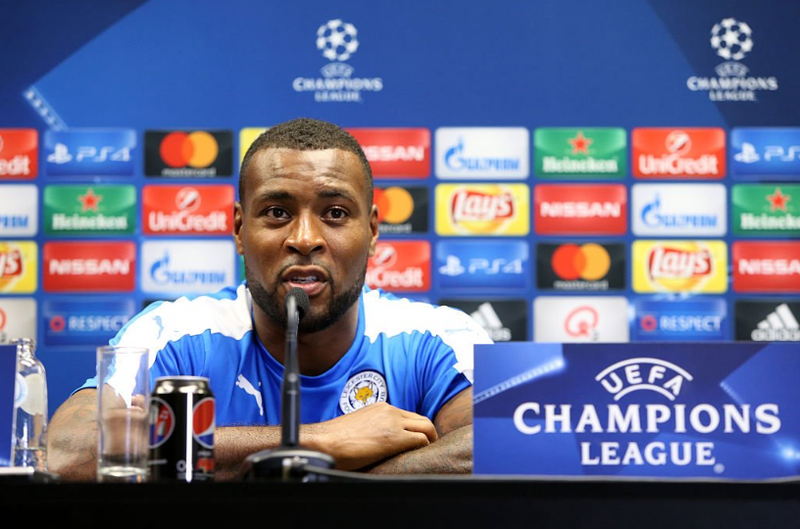 All of Wes Morgan’s hard work has paid off. He name was added to the Football League Team of the Decade in 2015. Then, he became the first person in the team’s history to play every single game of the campaign to win the Premier League trophy. If you are like me, you love to bet on your favourite team while they are playing because it makes the matches much more exciting. Of course, that added enjoyment comes from the fact that when you know what you are doing, you make money on your bets more often than not. I mean, what could be better than watching your favourite team playing while at the same time knowing that your bills are getting paid? To me, it’s the perfect combination. 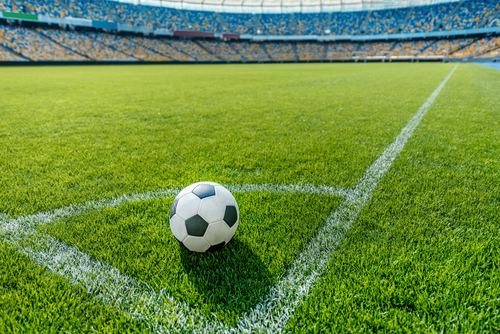 Many people approach betting on football as a hobby or just something that doesn’t need to be thought through very carefully. If you ask me, I’d say that an approach like that is absolutely wrong. If you want to be successful, there are many things that you have to take into consideration. For one thing, you have to look at what is going on with the players on the team. You have to remember that the team is nothing without the players, and that just because they have a good reputation in general doesn’t mean that they will perform well when their star player is out for some reason. 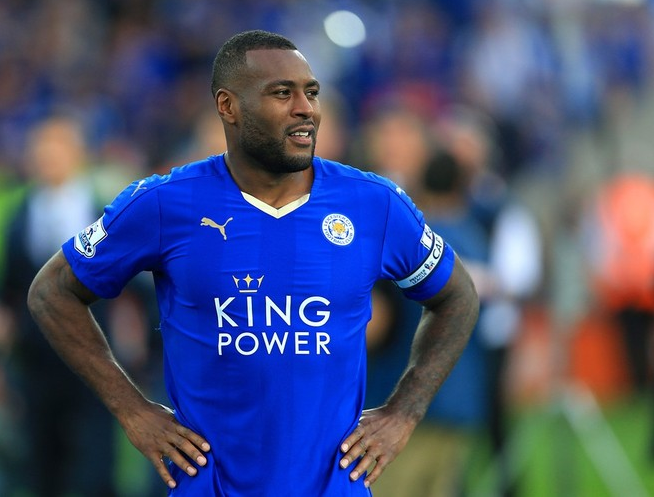 If you look at my situation being a Leicester fan, I’d have to think twice if LC’s captain, Wes Morgan was out on injury. He helped his team to some of their biggest wins. Another consideration is team form. You have to do a little research on your team and figure out how they have been performing compared to different types of teams. It is an absolute must that you understand every team and not just look at wins and losses. Why did your team win? Why did they lose? Answering these types of questions before putting your money on the line will get you closer to betting at a smart level. Whatever team you decide to bet on, just remember to do your homework first. Don’t let your emotions be your guide. There are a lot of great teams out there, but as you can probably guess from this blog, my personal favourite is Leicester City. They have been around for a really long time and they have an exciting history. Their success has put them in a class to compete with the best teams around, as you can see from watching their matches in the Premier League. 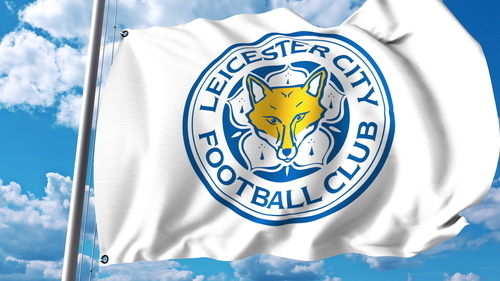 Leicester City started out in 1884, and they improved enough over the next few years to join the Football Association. 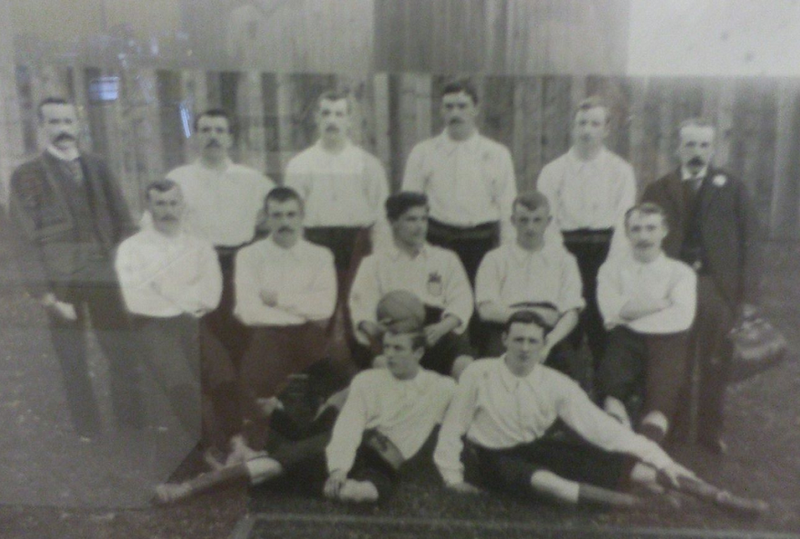 From about 1890 to 1909, the team played on several pitches and suffered a lot of big defeats. Throughout the 20th Century, City climbed the status ladder with a series of impressive feats. The team made it to Division Two in 1925. Then, in 1957, they won the Division Two Championship, which put them into Division One. They fell back a year later, but the taste of success pushed them to keep fighting. City went after the FA Cup three different times between 1949 and 1963, but they couldn’t take it. Despite their difficulty, they went on fighting and eventually won the League Cup in 1964. The next fifty years or so followed a similar pattern of losses and occasional big wins, and the team fought its way through many difficult times. 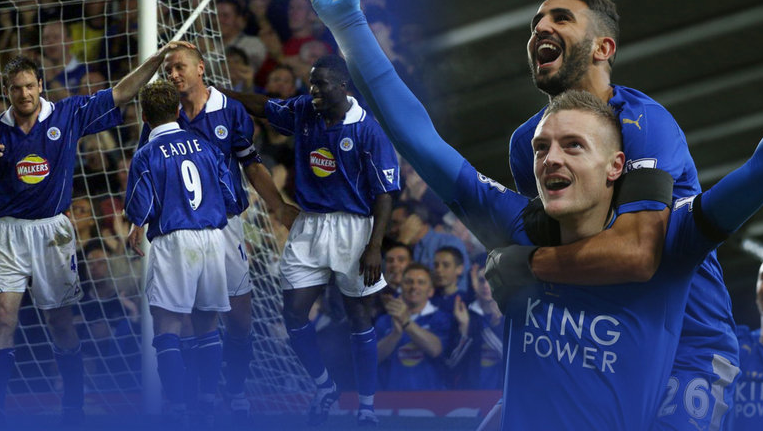 All of their work paid off in 2009 when the team went through a major revival that led them to the Premier League. 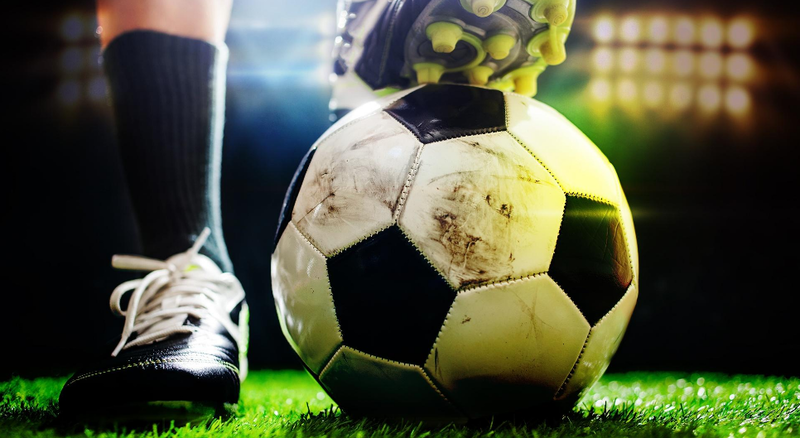 It only took them about seven years to climb their way to one of the top spots in football, making them one of the most popular teams to gamble on in Sportsbooks around the world. They are the classic story of the underdog becoming the alpha. If you’re a punter like me, bet on your favourite team to win the next time you watch a match, but keep LC in mind as you do, as they are likely to come out on top. Luiz Hernandez Rodriguez is a new player for Leicester, but by no means is he a newbie to football. Hernandez played for Real Madrid as a youth before starting his professional career with the same club. In fact, he could be described as a product of Real Madrid’s management style and organization, since he spent the first twelve years of his football career with Real Madrid. 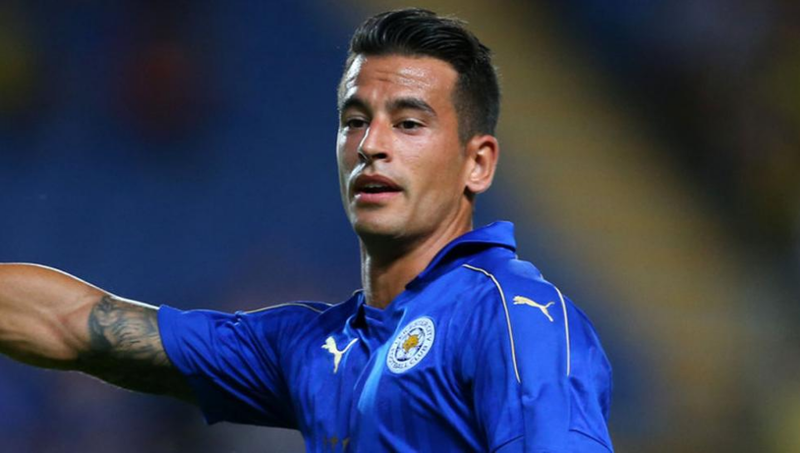 The defender went to Sporting Gijon in 2012 and played with them until joining Leicester in 2016. From the looks of things, taking on Hernandez was a really good choice for Leicester, and we all hope he does great things for the club. 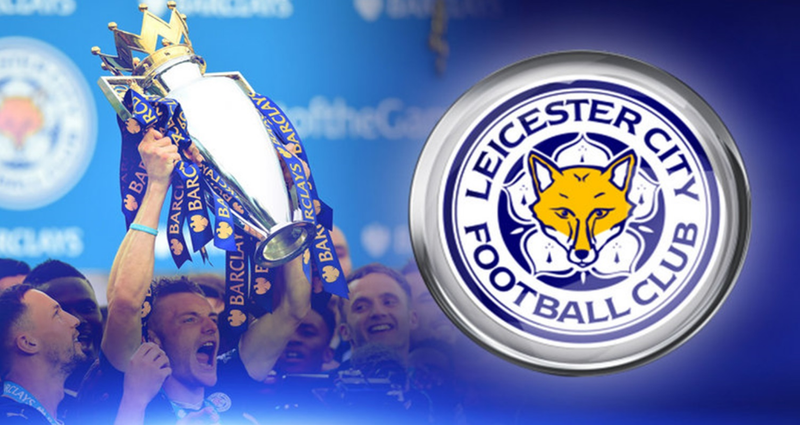 If you look at the team history of Leicester City, you will not see Luis Hernandez anywhere. He is new to the team, and since his arrival we haven’t seen too much, but I think he will do great things. He played as a starter for Sporting Gijon and was a very strong defender during that time. LC already has a strong list of defenders and Hernandez is yet another trick up the Fox’s sleeve. If we look at the few years leading up to his deal with City, we can see why Leicester decided to sign him. The defender played in a starting position more than one hundred times and helped his team, Sporting Gijon, reach a promotion to La Liga. That is an impressive move in a very short time and we are all hoping to see more of the same during his four years with Leicester. It’s always a little hard to tell what the future will bring, but if we look at the past we can guess that Luis Hernandez is going to be a sold addition to the team. My money will certainly be on him.